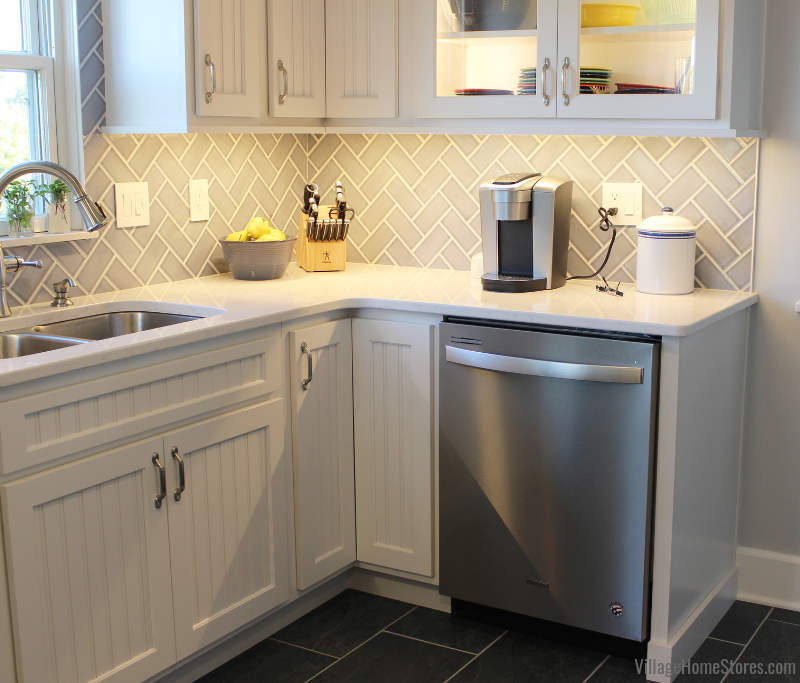 We mention our undercabinet lighting systems all of the time on our TV show and in just about every single featured kitchen posted here on the blog. 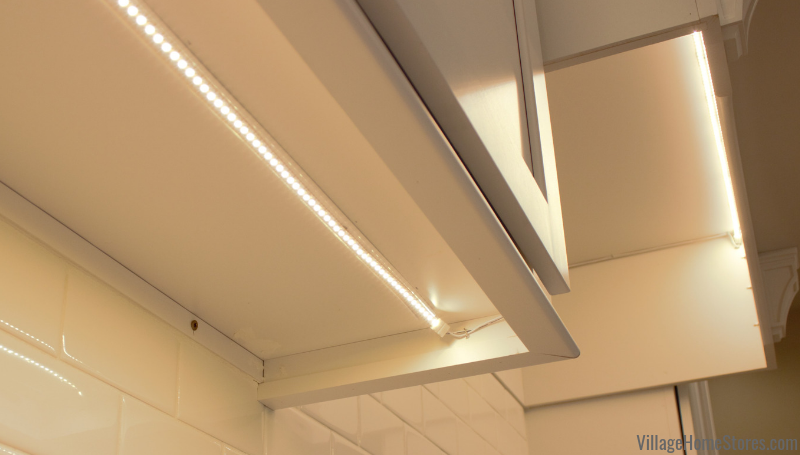 The truth is, it has been a long while since we gave undercabinet lighting its own proper “shout out” with a product profile. 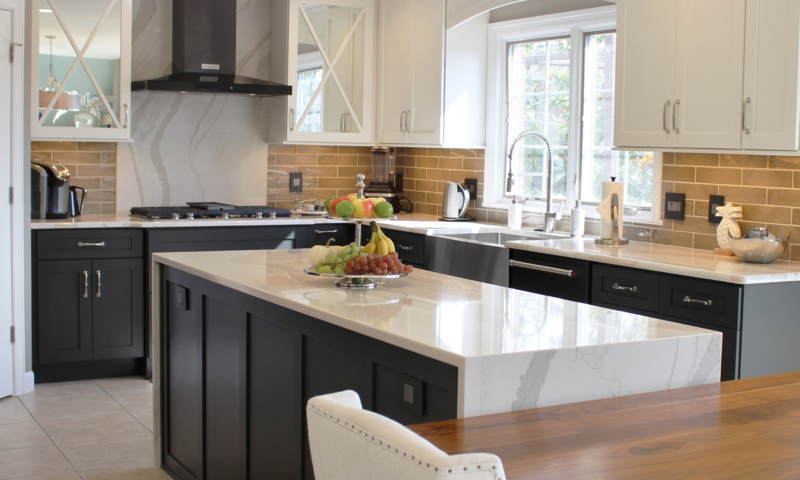 You will quickly find out when you work with us, that we consider undercabinet lighting a key element to any complete kitchen project with our team. Apologies in advance if our team seems repetitive as we ask you over and over during our bidding process about it. We just want to be sure we can give you the best end result for your project. With baseball season beginning last week, we thought it would be appropriate to more properly introduce our own “ace” in any project with Village Home Stores, our Diode LED tape light system. This system has a low profile, is energy efficient, long-lasting, and extremely versatile. Truly an MVP product worth investing in and including in your project budget! This is because it adds so much depth AND function to your space. You get the “wow” factor with a stunning wash of lighting in your space plus ideal task lighting day and night. 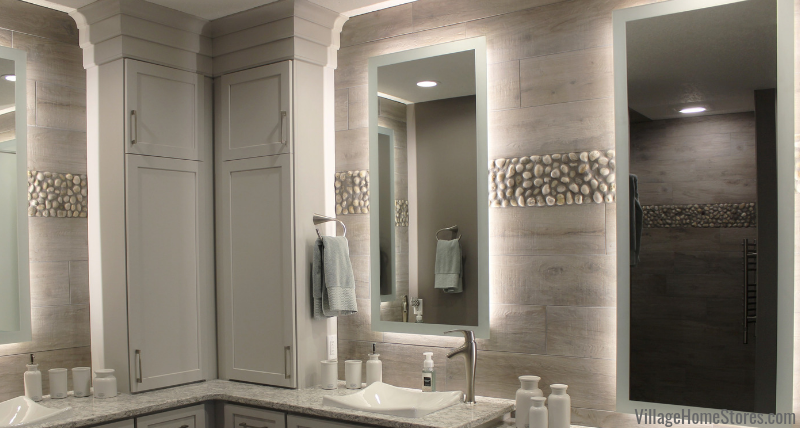 Truth is, we have never really encountered a customer who regrets including undercabinet lighting for their project budget. We have also found that this is one of the most mentioned products suggested when we have past remodel customers recommend our team and our process to their friends. This is an LED light, which gives you a more powerful light with dimming capabilities that will last longer. The tape light is UL Listed and NEC compliant to be field-cuttable plus many more certifications ensuring it meets many inspections and codes. The low profile of the strip of lights allow you to really think creatively as to where to add light to your space. We have installed this product underneath cabinets, on top of them, inside of them, and even back-lit mirrors (see below) and our store’s sign at the front desk. The end result is a concealed, consistent wash of light that truly showcases your surfaces for task and ambient lighting. Have a unique idea about something that could use some low-profile lighting? Ask our team because we love a challenge! I love that this is a slim product that you can’t see once installed. It lets you see without being seen itself. 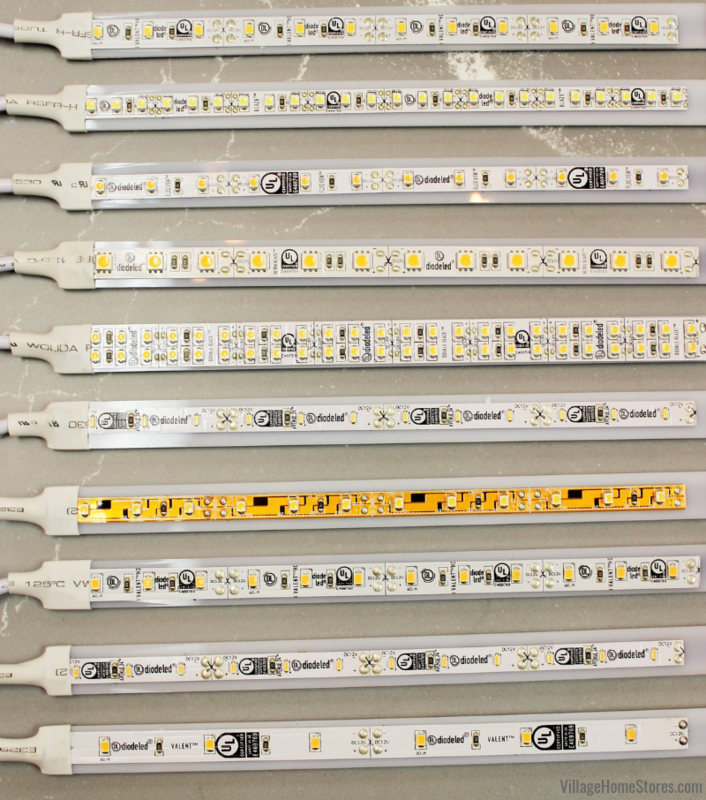 This is an efficient and long-lasting system of lights. Once installed, this Diode system will be operating for a long time…no seriously a long long time. How long? We have been told you could leave a Diode system running most of the a day for 25 years or more before needing to replace any lights. So you can leave these lights on as much as you would like and see little energy use because of the low wattage used. It also comes with an industry-leading 5 year warranty! What Do You Need To Install It? This is not a DIY quick-fix, system that will stop working a year later. This system is installed and wired in by an expert electrician so you will need the correct items for your space. You will need the strips of tape light and the transformer to power the tape since it is 12V system. If you are wanting to dim your undercabinet lights, you will need an LED dimmer. Your transformer gets wired to your switch or outlet. Finally, you will need connector cables. You will need to connect your tape to the transformer with a connector cable. These connectors will also allow you to jump the power over a stove or sink (whatever the case may be) and hook to another run of tape light. 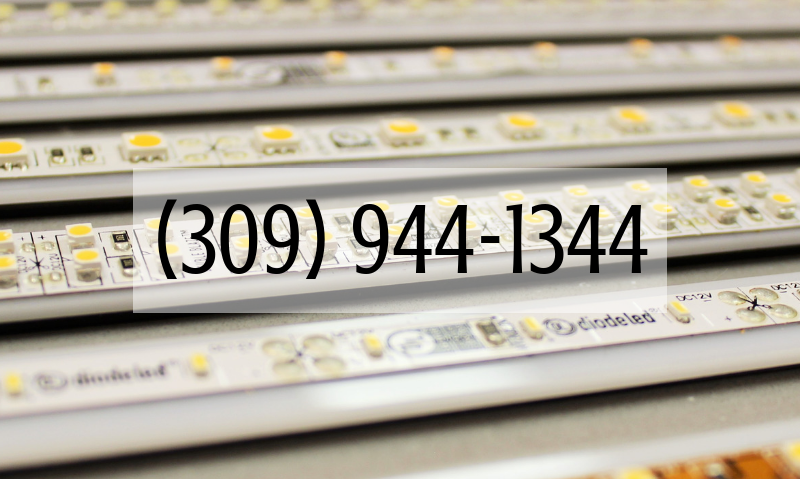 Your estimate and supplies will depend on your project size and also the layout of what we are lighting. 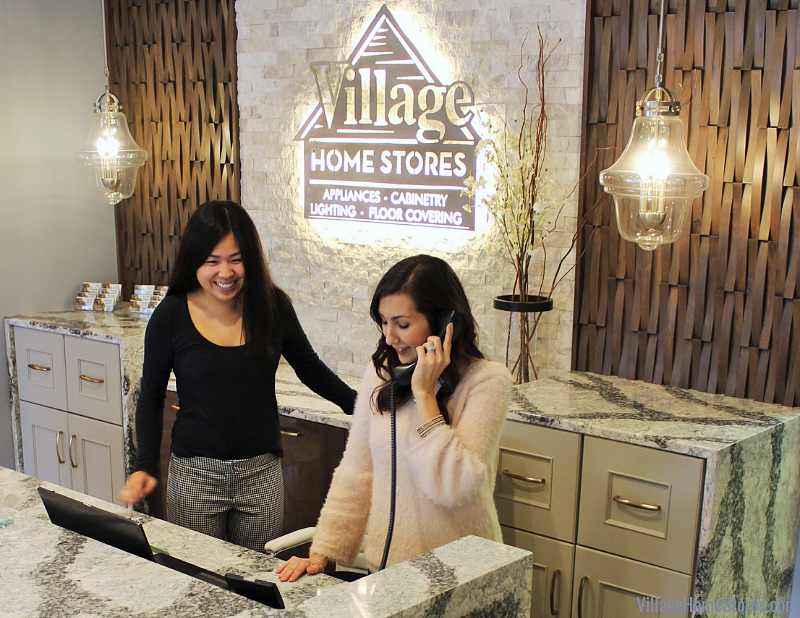 An expert at Village can help to get you an accurate estimate. Available In A Wide Color Temp Range! Another fun feature to mention about this Diode lighting is that it is available in many varieties of color. Ranging from warm to cool colors of standard white light but also bold colors all across the spectrum. This Diode system can be used in commercial applications like restaurants or bars but also in creative ways inside and outside of your home. Outdoor living spaces have become an extension of the home itself. Did you know that the same system of lighting we are always showcasing in our kitchens offers a Diode LED “Wet Location” system? There is even one series that is fully-submersible for pools, ponds, and water features. What a versatile system! New features for this system are introduced all the time making it the perfect way you can keep your savvy kitchen up to date with the latest tech. 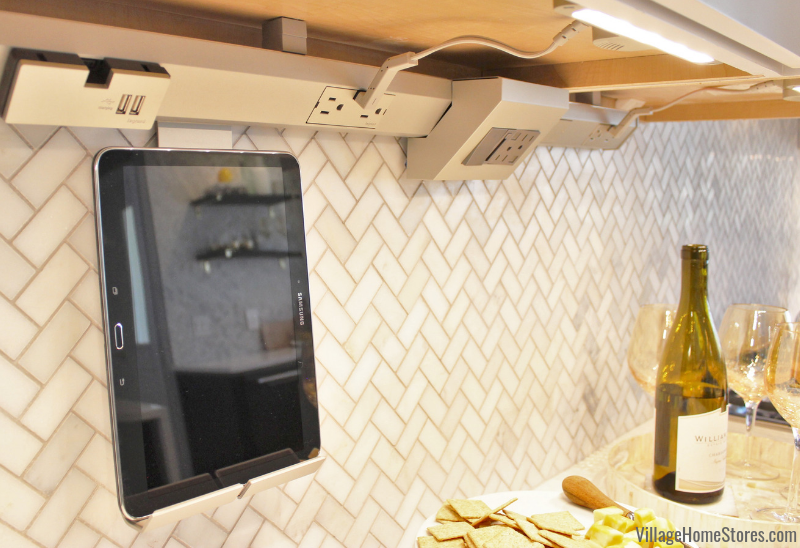 We especially love how the use of this system keeps the backsplash area completely clear of any wall outlet or switch plates. That allows you a full surface to showcase the great wall surface you have selected from our store. We want you to love your kitchen. We hope that you think of our team and smile every time you flip on the switch and see it illuminated so well. 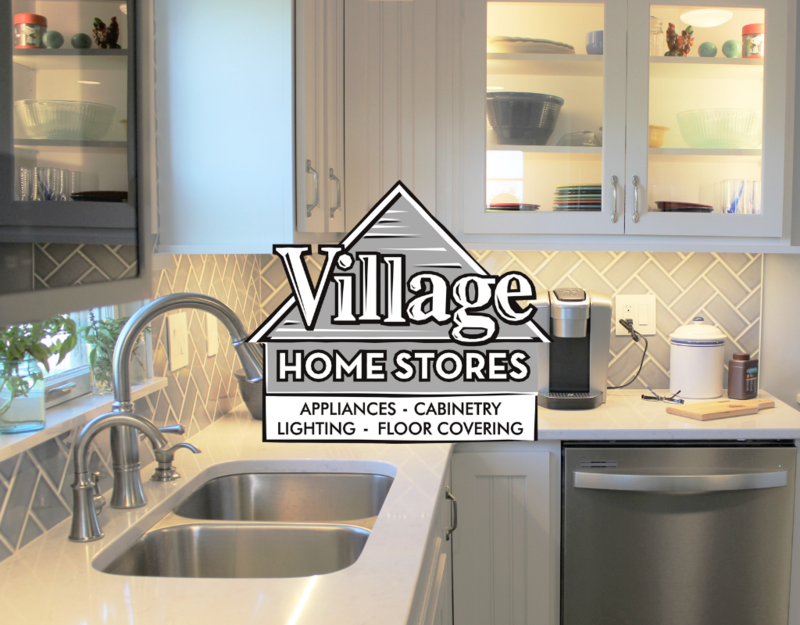 If you have a project indoors, outdoors or even underwater our expert lighting team from Village Home Stores can help you figure out the right system and components needed for you project. Not sure what products are right for you? Questions are encouraged! Especially in this new and exciting era of connected and smart home tech for our lighting products. We have many examples of this Diode LED system and the tracked/ modular system installed and on display in our showroom. Stop by and see us at 105 S State Street in Downtown Geneseo or call at (309) 944-1344 for an appointment. You can also start the estimating process or shoot us a quick message here at this link. We can’t wait to hear what you are working on.